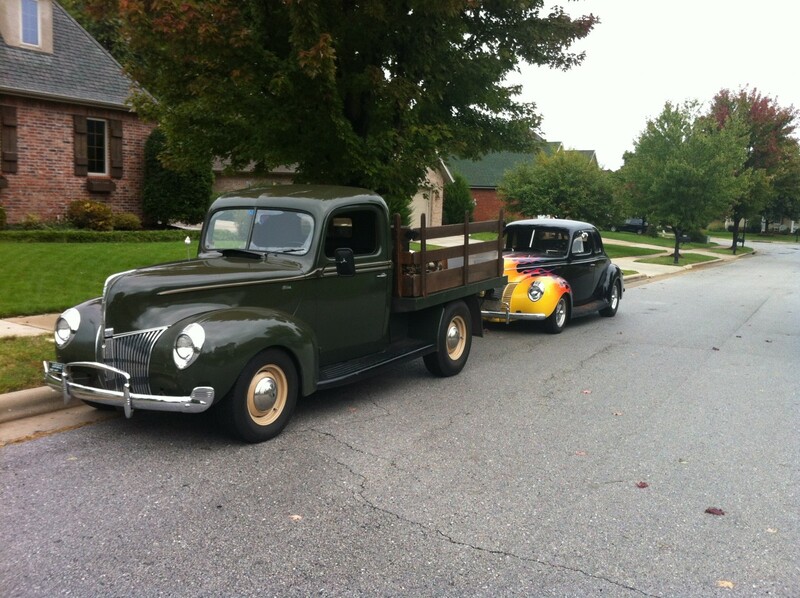 Both ’40s out of the garage at the same time! Griff’s C.A.M. 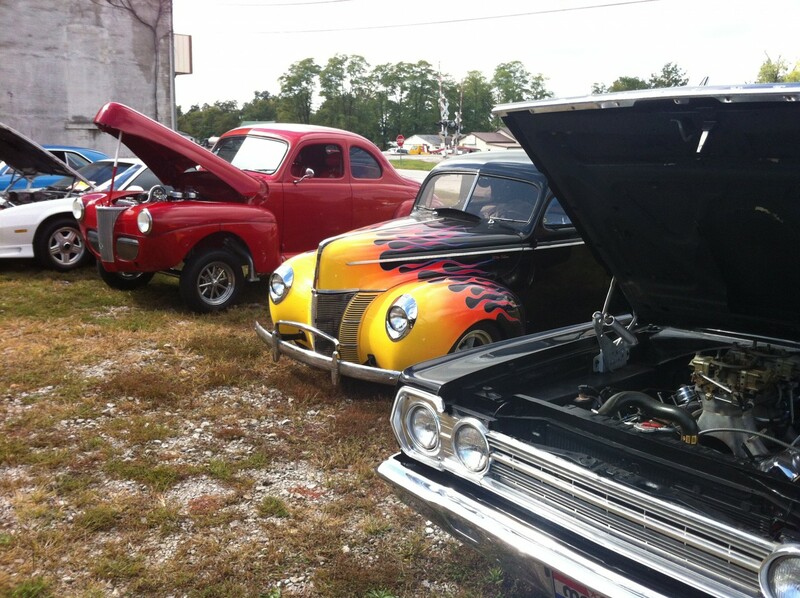 Shop, in Billings, MO, held their Customer Appreciation and Tent Sale on October 12. The only cars invited were ones with Griff’s engines in them. This resulted in me having to juggle the ’40s around in the garage, causing the initial 2 photos on this update. The coupe was filthy, being parked dirty, and sitting in the back of the garage for the past 2 months. The good news is that I finally got around to cleaning up the battery ground to the frame and changing the oil! 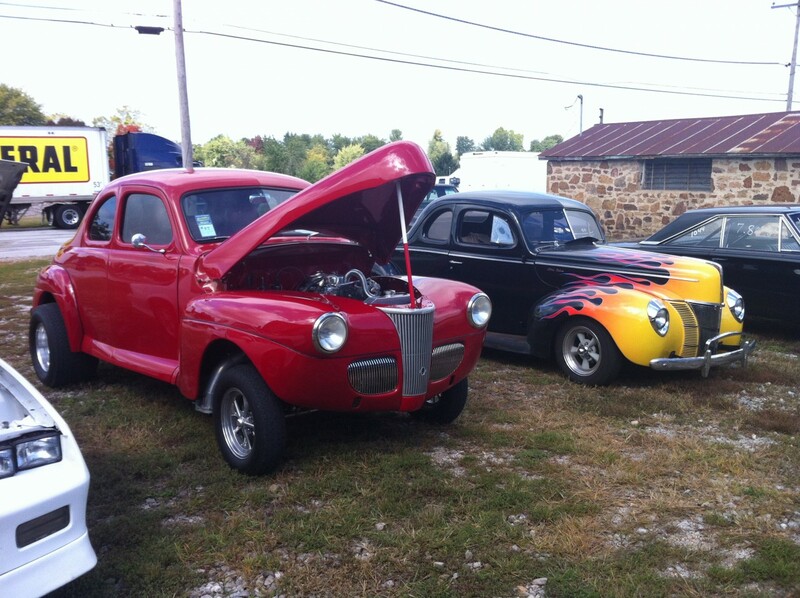 Those were two of the “must do” items that I intended to get done, while the coupe was parked. 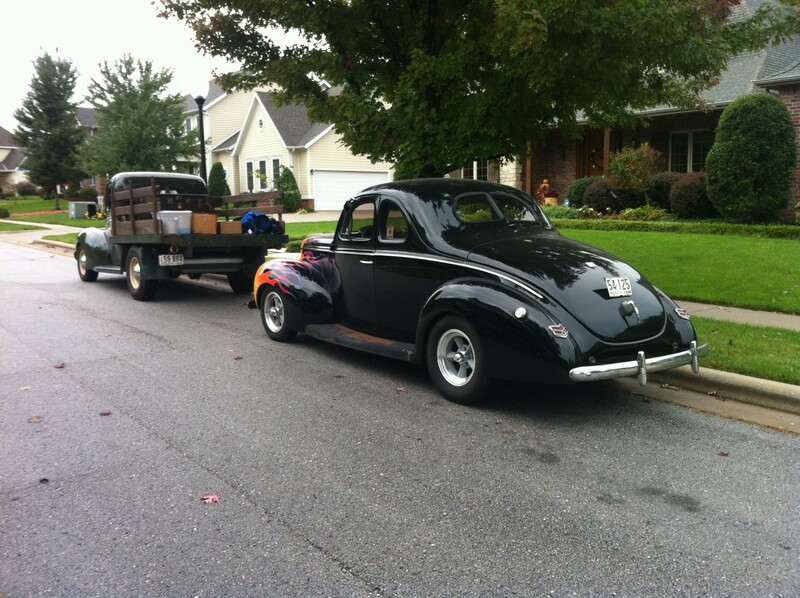 Now that the coupe is in the “ready” spot, in the garage, it appears that it is going to go on the Hot Rod Hundred “Route Scout”, this weekend! 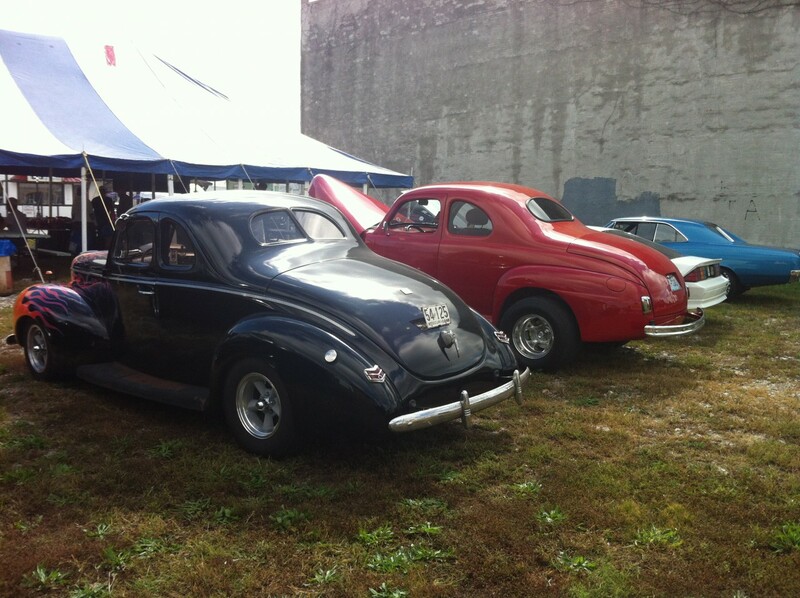 Dale Siler’s ’41 Ford Coupe was the only other pre-49 in attendence.